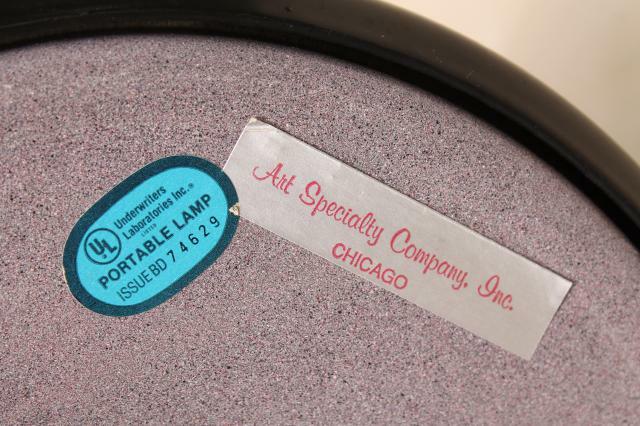 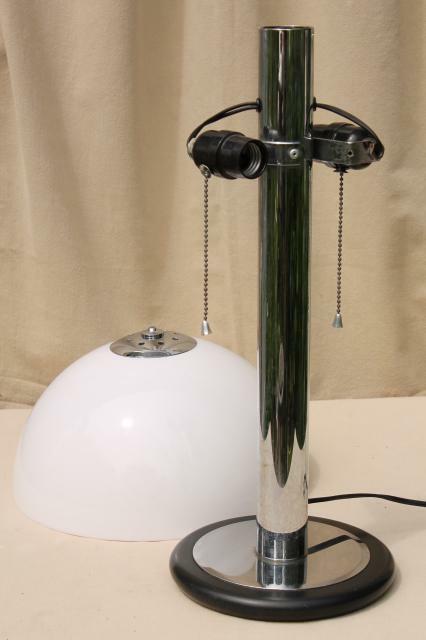 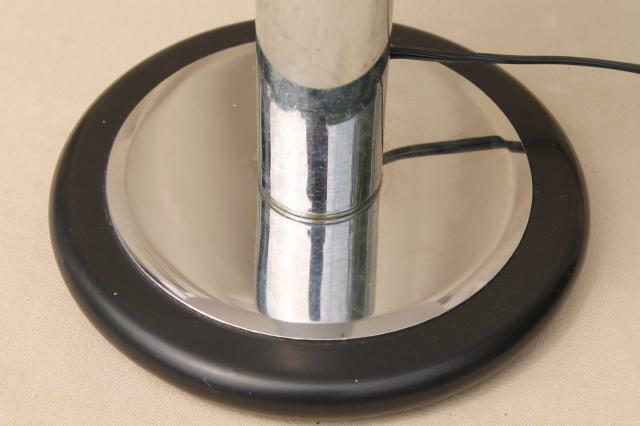 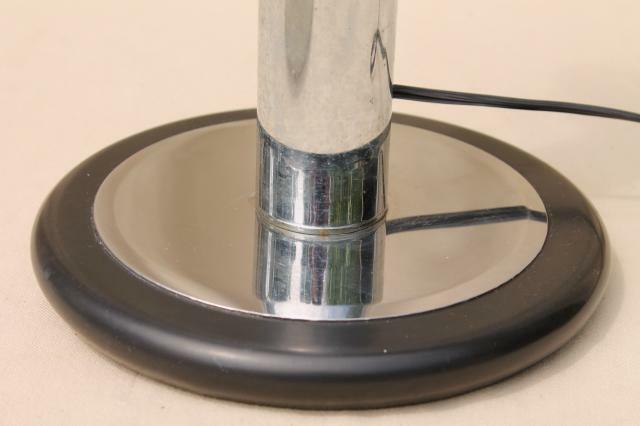 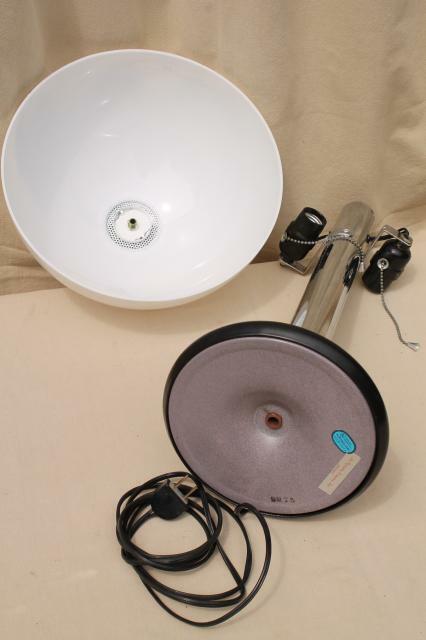 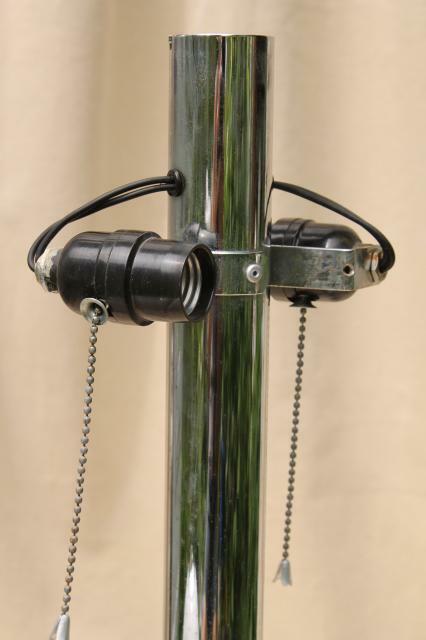 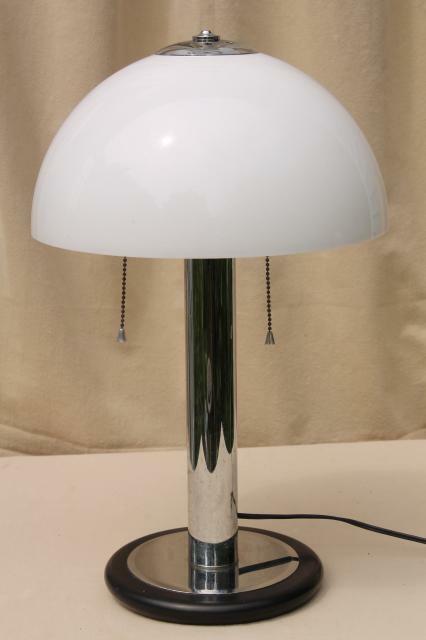 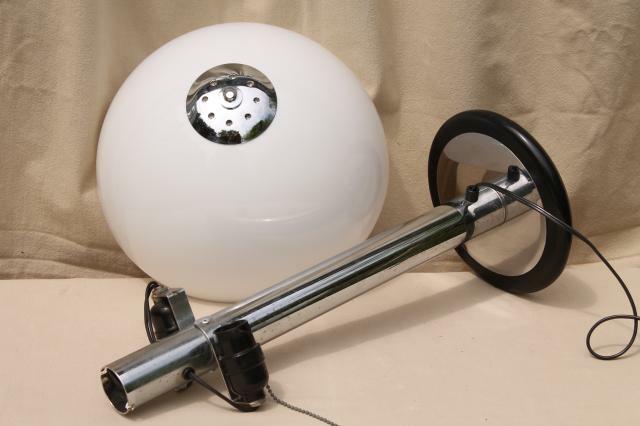 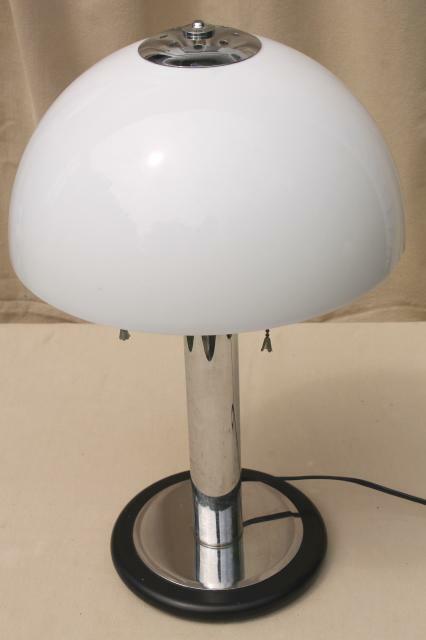 Vintage Art Specialty - Chicago lamp, chromed steel with plastic shade and twin light sockets. 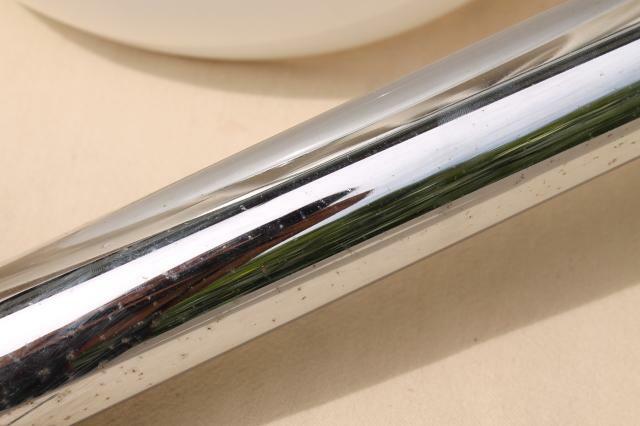 There's a little pitting to the chrome, but overall it's clean and without discoloration to the plastic, works fine. 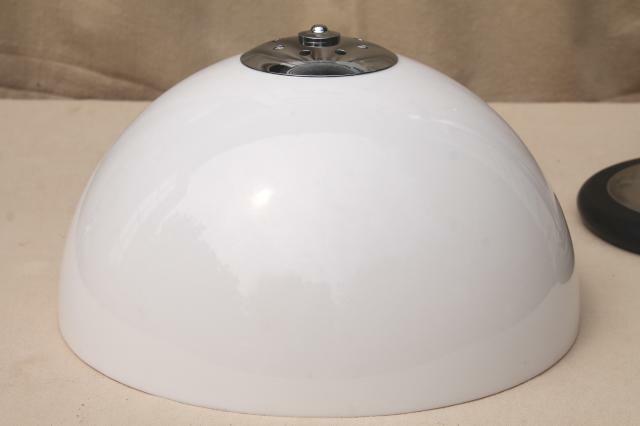 It measures about 20" tall overall, with domed shape shade about 12" in diameter. 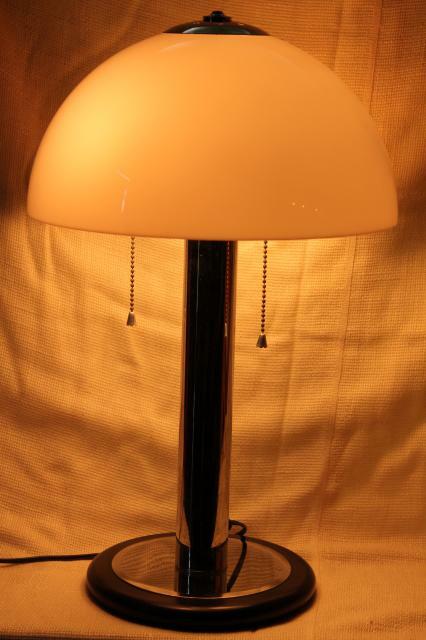 We couldn't find a date on this piece, but would guess it's 80s vintage.